Scope: Suitable for small and medium sized vehicles. Such as: cars, Buick, Santana, Vietnam and other vehicles. 5. Warranty and Service: 3 month warranty which ensures long-lasting enjoyment of your purchase. If you have any problems with our products, please contact us first. We will sort it out for you. View More In Jack Accessories. If you have any questions about this product by Bowoshen, contact us by completing and submitting the form below. If you are looking for a specif part number, please include it with your message. 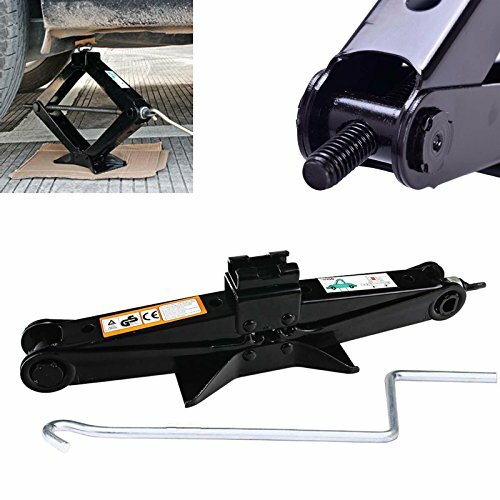 K&A Company Boat RV Swing Away Trailer Boat Camper Jack Swivel Wheel Bolt On New 1000 LB 3" x 5"
SKEMiDEX--- 2pc 3 Ton 6600 LB Car Automotive Jack Stand Capacity 6600LBS Self locking ratchet type all steel construction Large ductile white V-cut iron saddle Orange enamel finish.